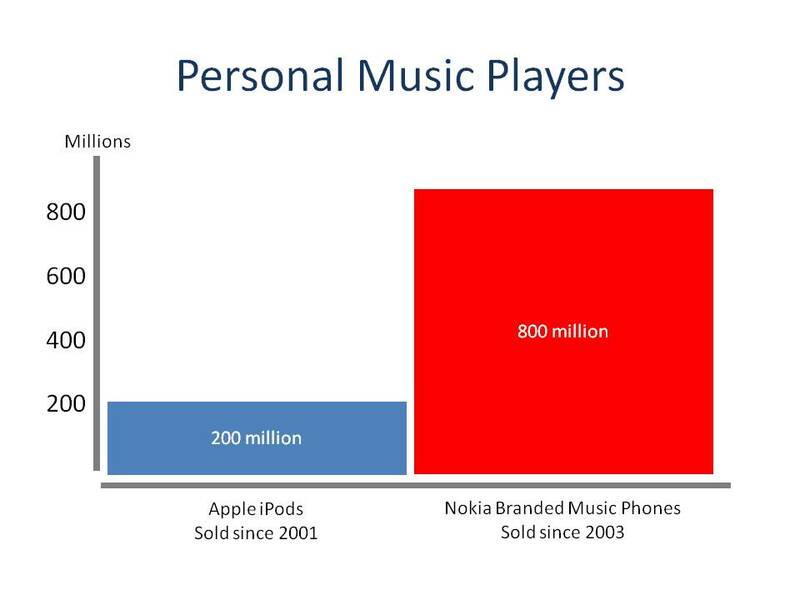 2000-2009 the “Nokia Decade” …but why should it stop there? 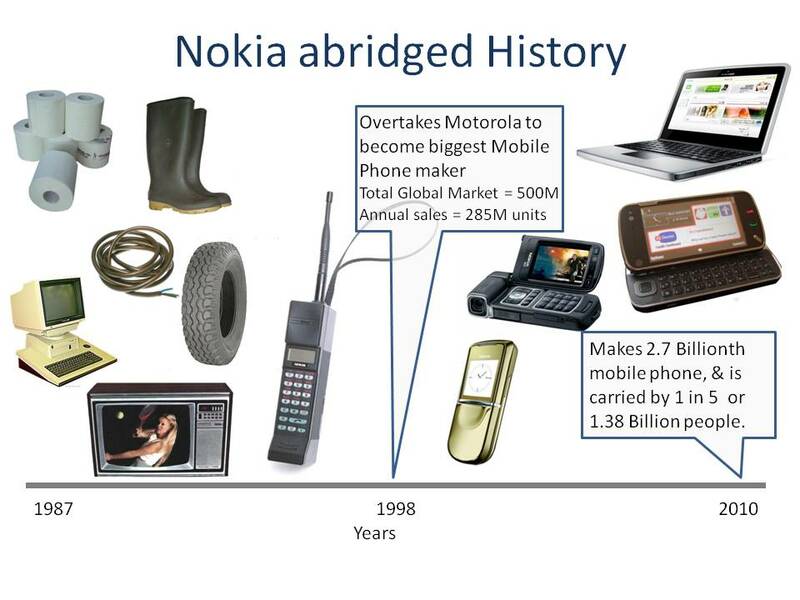 Note: Nokia only got into Mobiles in 1987 and today 1 in 5 people on the planet have got a Nokia. 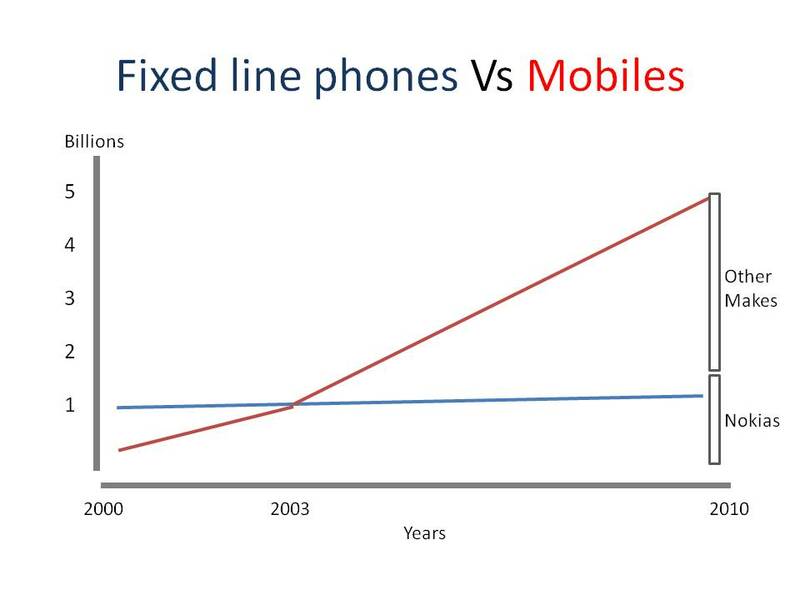 Mobile Phones started this decade behind fixed landlines, levelled with them in 2003, and by 2010 wireless connections outnumbered fixed lines by so much that there were more Nokia branded Mobiles in use than there were fixed lines. By the end of the decade both SMS and MMS (Picture) messaging had become more popular than PC internet messaging. 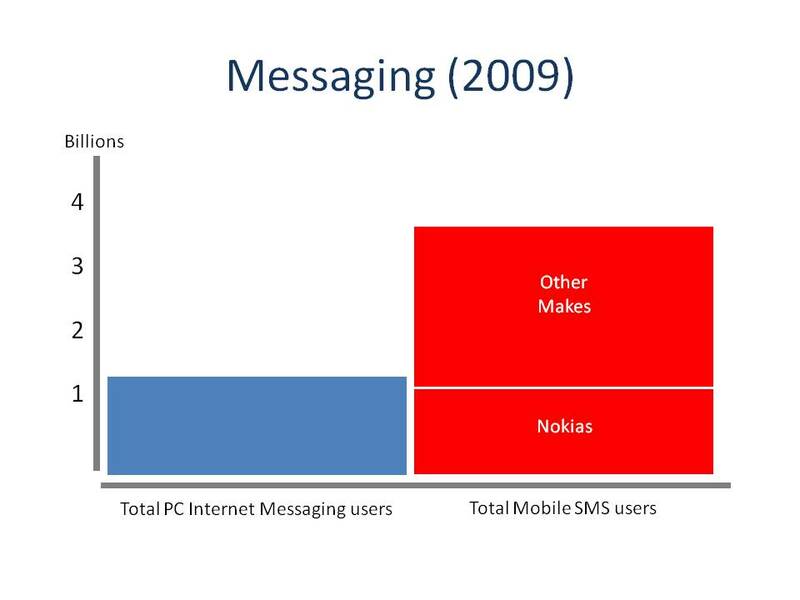 We are nearly at a level where there are more people messaging via Nokia mobiles than there are accessing the internet! 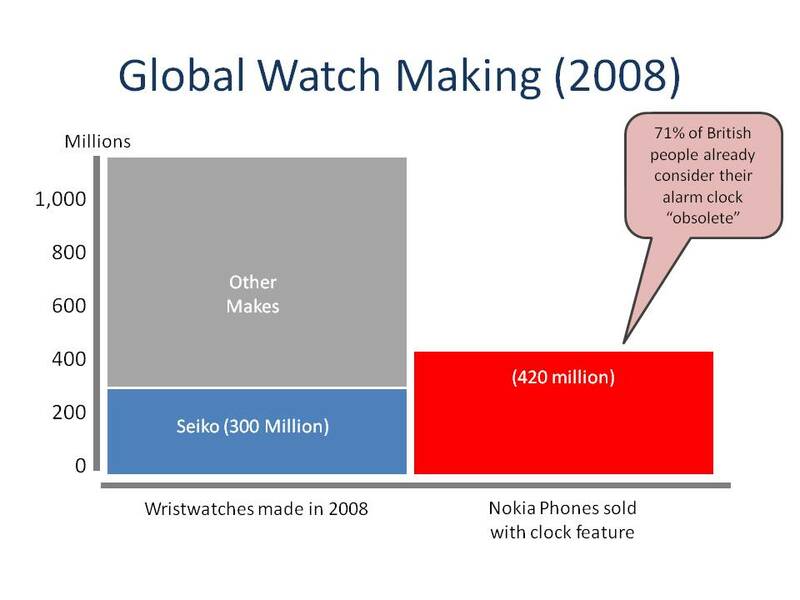 Nokia became the biggest manufacturer of watches – overtaking Seiko by 120 million units in 2008. 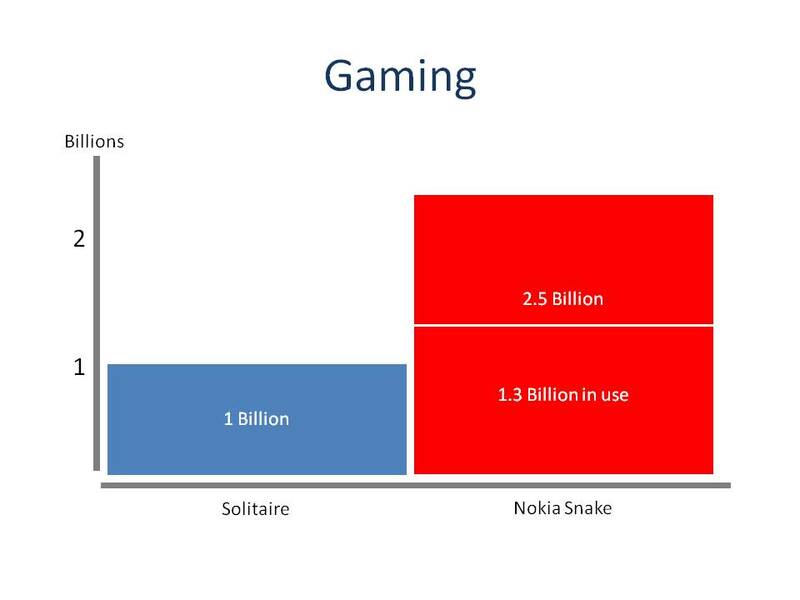 Nokia Snake became the most popular game, coming supplied on 1.5 billion more devices than the PC game Solitaire managed. 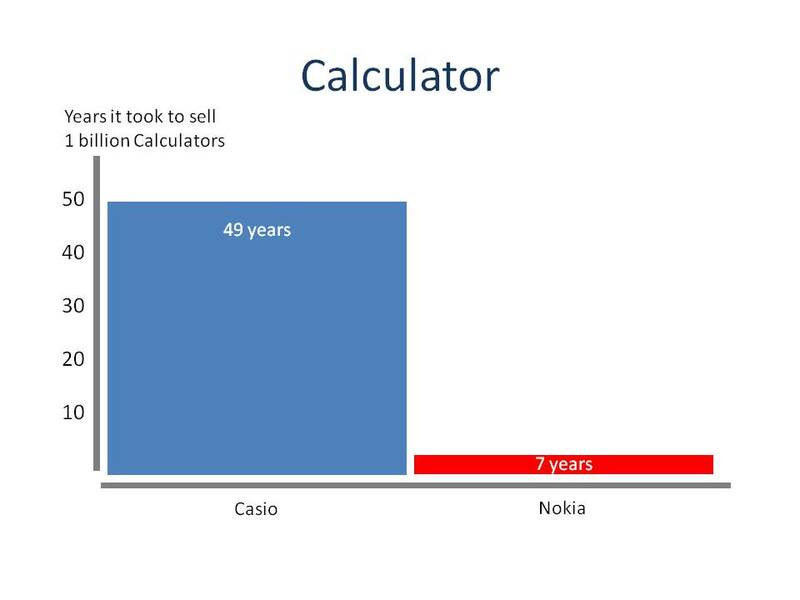 Nokia became the biggest producer of Calculators, taking only 7 years to catch up with the volume sold by the previous market leader CASIO. 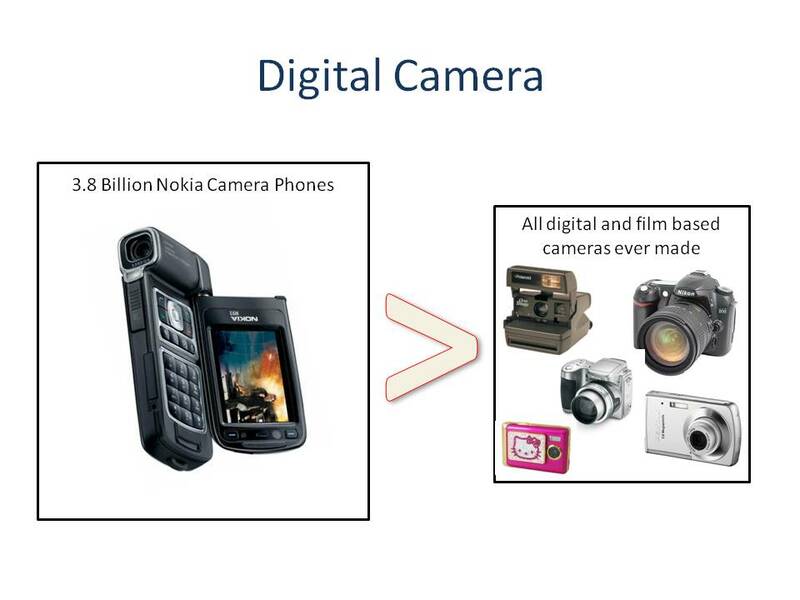 Nokia shipped 3.8 Billion Camera phones, in one decade surpassing the total global market of both digital and film based cameras ever sold! 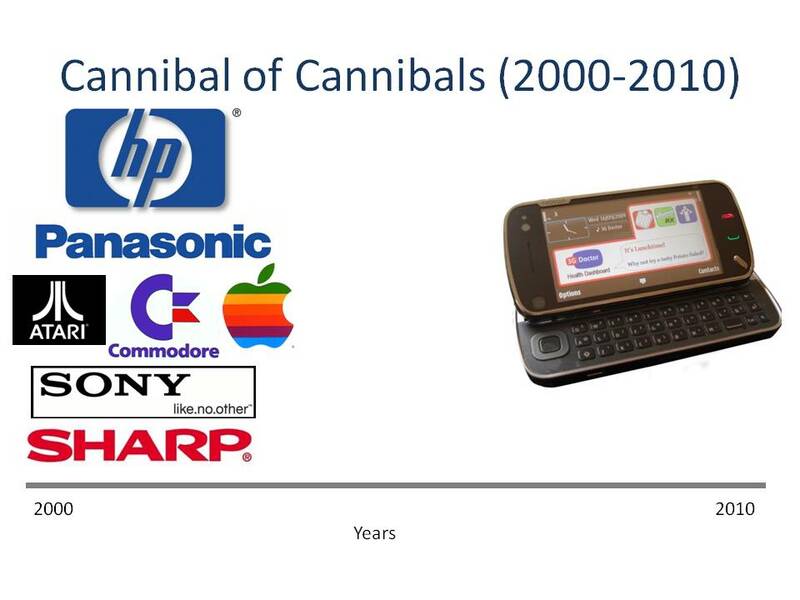 Proving high tech muscle, they also produced 72 million “smartphone” computers, exceeding the volumes of the largest PC manufacturer HP by nearly 20 million units. So it’s 2010, where do we go from here? 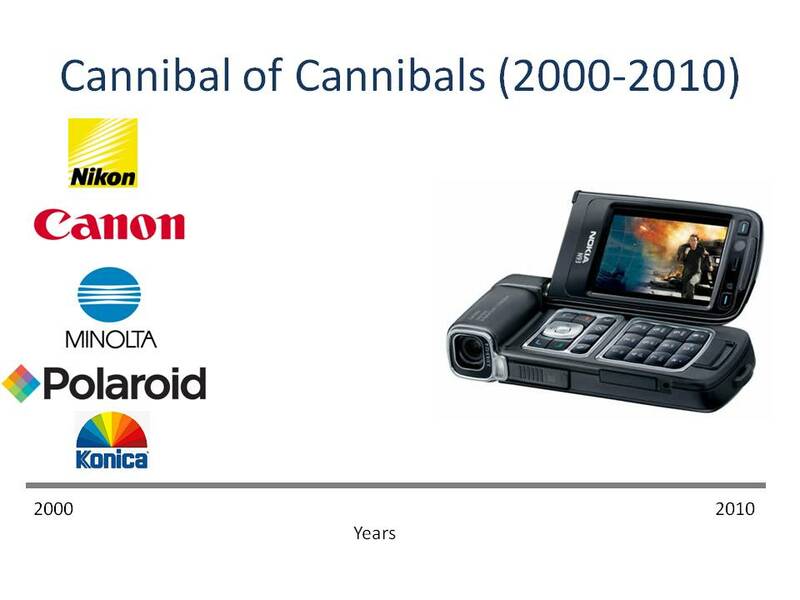 What has Nokia (Europes biggest spender on R&D) got in store for us in the next decade? Here’s my advice…. if you’re a big medical device manufacturer cash out now OR get yourself a mobile guru! They will be coming for you! 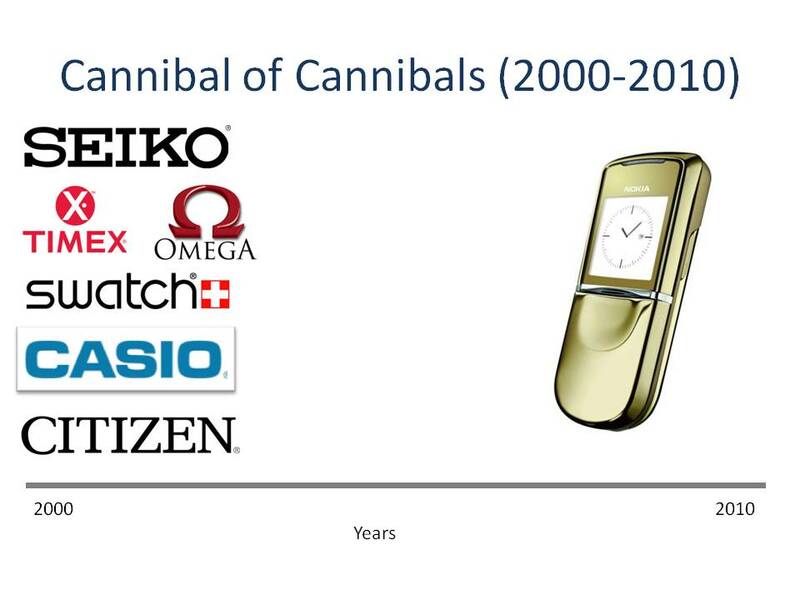 49 Responses to 2000-2009 the “Nokia Decade” …but why should it stop there? This is AWESOME and thank you so much. This is FAR better than my verbose babble. The pictures tell the story so much more powerfully, I literally had shivers down my spine as I read through your version and saw the illustrations. Brilliant. I immediately Twittered about it, and posted a link to these images from my blog. I urged visitors also to leave comments for you here, hoping some will be kind to do so. These are amazing. Thanks!!! 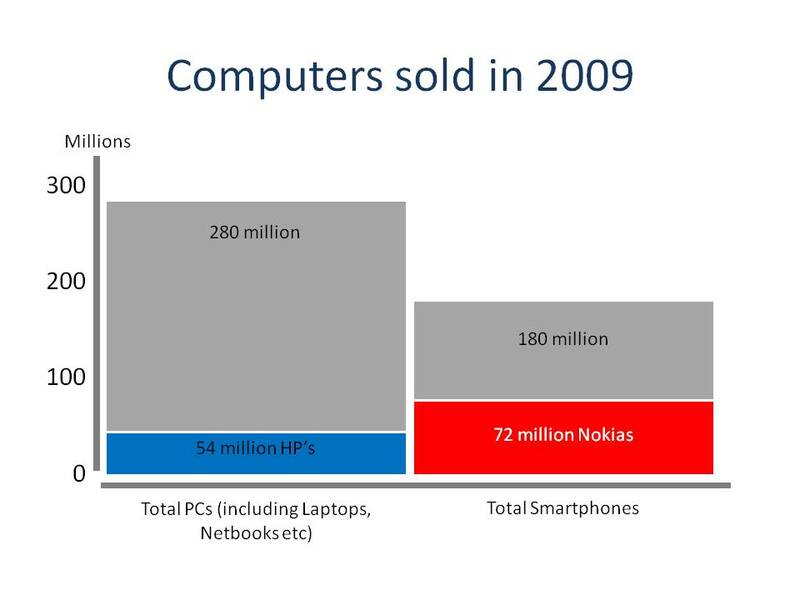 Can you really compare normal PC sales to smartphone sales. Super duper dumb gsm phone cameras to any digital camera with optical zoom? They probably sold more snake games than COD Modern Warfare 2, so you can analyse it as well! These are just grey areas. Since Smartphones are more powerful than some personal computers I see no reason why you can’t compare them, particularly because I know lots of people who do more personal computing on their phones than they do on their PC. Likewize my mobile cameraphone is better than most dedicated digital cameras and I probably use it more than most people use their dedicated device. N.B. In many markets “good enough” has a habit of trumping the “best”. In the car industry Toyota has been more successful than Rolls Royce, but recognising this doesn’t mean I think Toyota makes a better/faster/more luxorious car! 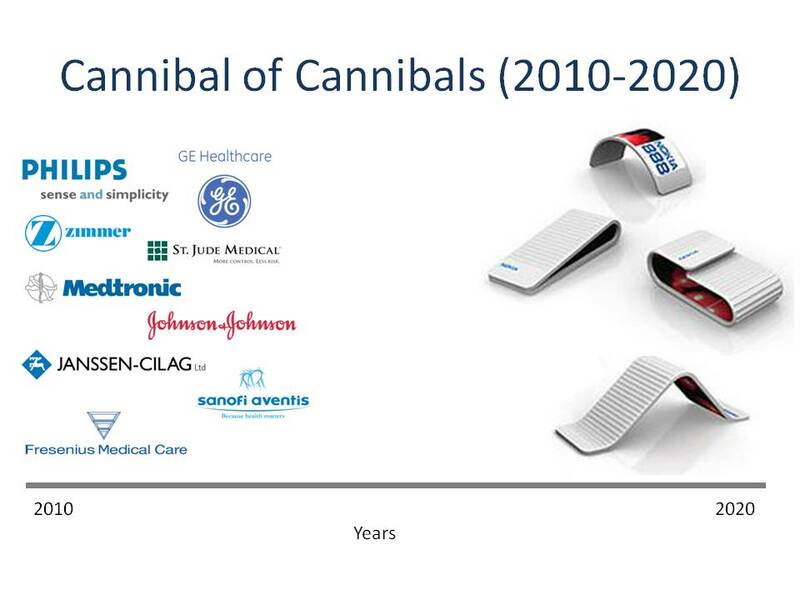 Absolutely..well said..while most device companies still continue to ” study/evaluate” Mhealth….I would personally short these companies as they just dont get it. Imagine this it is 2011 and they still dont have an integrated device/mhealth strategy aside from trying to replicate basic PCInternet web sites. Most dont even know that the majority of mobile users use/ coded in a 2 byte character system.